This book provides a concise and up-to-date resource on common shoulder disorders. The reader will learn about various shoulder conditions, their presentation, evaluation and management. Anatomy, biomechanics, function, clinical history taking and examination, radiological imaging and other investigations, as well as principles of non-surgical and surgical management of the troublesome shoulder are presented first. 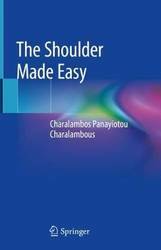 The Shoulder Made Easy conveys clear, easily understood information to help practitioners in day-to-day clinical practice as well as in preparation for undergraduate or postgraduate exams. The book focuses on: Commonly encountered clinical symptoms of the shoulder: patients don't present with a clinical diagnosis but with symptoms such as pain, stiffness, weakness or instability and a thorough consideration of what could be accounting for such symptoms and how such symptoms may be dealt with is presented. Commonly encountered clinical disorders of the shoulder: each clinical disorder is concisely presented with the background, clinical symptoms, investigations, differential diagnosis, treatment and a further reading section. This book attempts to present information in an easily read, succinct way. In particular, this book tries to unpick and explain those concepts of shoulder disorders that may be difficult to understand. 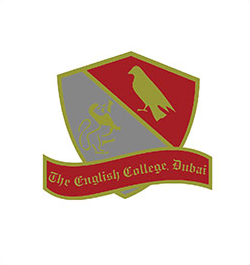 An attempt is made to pass on knowledge but more importantly also stimulate lateral thinking. Key diagrams, clinical photographs and radiographs are used as necessary to highlight important points; references to relevant landmark articles are also provided in each chapter. The book will be of great interest to medical students, junior orthopaedic doctors, GP's and physiotherapists. 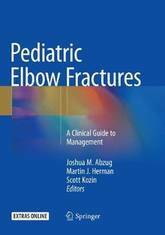 This unique text focuses entirely on the treatment of pediatric elbow fractures, which encompass the vast majority of operative cases for pediatric fracture care, and which can be challenging to even the most experienced surgeon. The book opens with a survey of the basic anatomy and development of the elbow, as well as examination and imaging techniques. Both acute and chronic fractures are then discussed in detail, beginning with a brief outline of the epidemiology, classification, and work-up of each fracture, but the main focus will be on providing a master's approach to the surgical treatment of these injuries, including supracondylar fractures, capitellar shear fractures, elbow dislocations, Monteggia fracture dislocations, and cubitus varus and valgus, among others. Numerous photographs, figures and videos will enable the orthopedic surgeon, hand surgeon, and trauma surgeon to be fully prepared to treat any of these fractures. 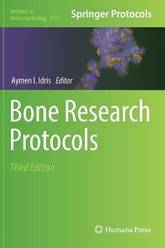 The third edition of this book provides a large number of laboratory protocols that are intended for basic and clinical bone researchers. Chapters are organized into five parts covering methods for isolation, ex vivo models of bone organ and cell co-culture system, biochemical procedures, animal models of bone remodeling, and rodent models on Rheumatoid arthritis and osteoarthritis. Written in the highly successful Methods in Molecular Biology series format, chapters include introductions to their respective topics, lists of the necessary materials and reagents, step-by-step, readily reproducible laboratory protocols, and tips on troubleshooting and avoiding known pitfalls. 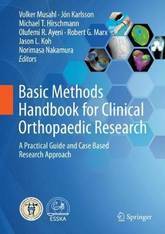 Authoritative and cutting-edge Bone Research Protocols: Methods and Protocols, Third Edition aims to extensive list of protocols for anyone interested in bone research. A unique, visually appealing, and easy-to-read guide on spinal anatomy, pathology, and management The management of patients with spinal conditions involves a team-based approach, with professionals and trainees contributing through their respective roles. As such, medical trainees need resources that enable them to quickly and adeptly learn spine basics, such as performing spinal examinations. This handbook is a concise, compact guide on key principles of spine surgical knowledge - from the atlanto-occipital joint to the coccyx. It provides both professionals and medical trainees with user-friendly, insightful text gleaned from the hands-on insights of seasoned spinal surgeons. Core fundamentals cover spine anatomy, clinical evaluations, spine imaging, diagnostic spine tests, and select spine procedures. Common surgical approaches are delineated in succinct bulleted text, accompanied by case studies and radiographic pathology. This format is conducive to learning and provides an ideal spine surgery review for medical students, postgraduate trainees participating in spine rotations, and residents. 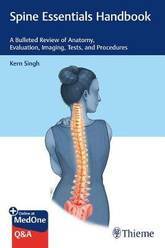 Key Highlights The only book on spinal pathology and management created with contributions from medical students and residents High-impact citations and questions at the end of each chapter highlight key topics Detailed drawings, diagrams, radiographic images, and MRIs elucidate and expand upon chapter topics Tables provide a quick reference, with concise information including impacted anatomy, nerves, and procedural maneuvers utilized in exams Spine Essentials Handbook: A Bulleted Review of Anatomy, Evaluation, Imaging, Tests, and Procedures is a must-have resource for orthopaedic and neurosurgery residents and medical students. It will also benefit physiatrists, spine practitioners, orthopaedic and neurosurgical trainees and nurses, and chiropractors. This book includes complimentary access to a digital copy on https://medone.thieme.com. 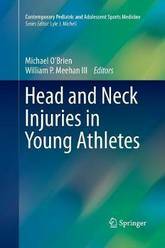 Providing the most current information on injuries to the head and neck sustained by young athletes, this practical text presents a thorough review of the complex and emerging issues for youths and adolescents involved in contact/collision sports. While concussions are among the most common injuries, fractures of the skull and facial bones and structural brain injuries can be serious and are discussed in chapters of their own, as are stingers and other cervical spine and cord issues and disease. Injuries to the eyes, ears and jaw are likewise examined. Prevention is a major theme throughout the book, as seen in chapters on protective head- and neckwear, transportation of injured players, and sideline response and return-to-play. Head and Neck Injuries in Young Athletes will be an excellent resource not only for orthopedists and sports medicine specialists treating growing athletes, but also specialists and team physicians who are on the scene at sporting events where these injuries may occur. Age Estimation: A Multidisciplinary Approach is the only reference in the field covering all techniques and methods involving age estimation from different perspectives in just one volume. The book provides comprehensive coverage of all aspects of age estimation: aging the living and the dead, human rights, and skeletal, dental, histological and biochemical techniques and methods available. Each chapter is written by internationally known expert contributors. 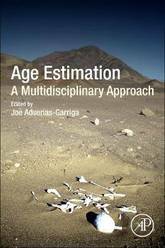 Age Estimation: A Multidisciplinary Approach is a one of a kind resource for those involved in estimating the age of the living and the dead. This book is designed to meet the needs of both novice and senior researchers in Orthopaedics by providing the essential, clinically relevant knowledge on research methodology that is sometimes overlooked during training. Readers will find a wealth of easy-to-understand information on all relevant aspects, from protocol design, the fundamentals of statistics, and the use of computer-based tools through to the performance of clinical studies with different levels of evidence, multicenter studies, systematic reviews, meta-analyses, and economic health care studies. A key feature is a series of typical case examples that will facilitate use of the volume as a handbook for most common research approaches and study types. Younger researchers will also appreciate the guidance on preparation of abstracts, poster and paper presentations, grant applications, and publications. 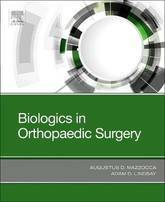 The authors are internationally renowned orthopaedic surgeons with extensive research experience and the book is published in collaboration with ISAKOS. This well-illustrated book presents the state of the art in suture materials and provides clear, step-by-step guidance on how to tie the most frequently used knots. The opening section addresses terminological issues and describes how the biological and mechanical properties of suture materials may impact on healing potential. The basics of knot biomechanics are explained, highlighting the risk of failure of knots and sutures if their capacities are exceeded. Subsequent sections give precise instructions on the tying techniques for the various open and arthroscopic knots, including the square knot, the surgeon's knot, half hitches, and sliding and non-sliding knots. The special instruments available to facilitate the tying of arthroscopic knots are thoroughly discussed, equipping the surgeon with the knowledge required to ensure optimal handling of the soft tissues and manipulation of sutures in arthroscopic surgery. A literature review on suture materials and arthroscopic knots completes the coverage. This book is published in cooperation with ESSKA. It will be a valuable instruction manual for surgeons in training and will supply more experienced surgeons with an excellent update that will further enhance their practice. 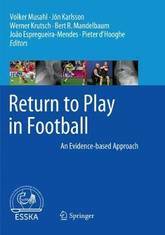 In this book, leading experts employ an evidence-based approach to provide clear practical guidance on the important question of when and how to facilitate return to play after some of the most common injuries encountered in football. Detailed attention is paid to biomechanics, the female athlete, risk factors, injury prevention, current strategies and criteria for safe return to play, and future developments. Specific topics discussed in depth include concussion, anterior cruciate ligament and other knee injuries, back pathology, rotator cuff tears, shoulder instability, hip arthroscopy, and foot and ankle injuries. 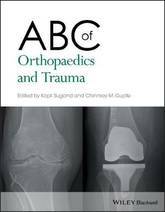 The chapter authors include renowned clinicians and scientists from across the world who work in the field of orthopaedics and sports medicine. Furthermore, experiences from team physicians involved in the Olympics, National Football League (NFL), Union of European Football Associations (UEFA), and Federation Internationale de Football Association (FIFA) are shared with the reader. All who are involved in the care of injured footballers will find this book, published in cooperation with ESSKA, to be an invaluable, comprehensive, and up-to-date reference that casts light on a range of controversial issues. 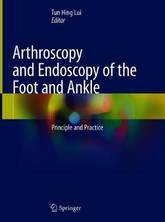 This book provides detailed information in foot and ankle arthroscopy and endoscopy. It explores and introduces these surgical techniques for the treatment of foot and ankle diseases, which have better surgical outcome, lesser surgical morbidity over conventional open surgery. In each chapter, it includes extensive cases and techniques' illustration about arthroscopy, tendoscopy and endoscopy. Case demonstration with well-illustrated arthroscopic and endoscopic photos for common clinical conditions was provided. It is also written in the same structure and style for each techniques. Step-by-step procedures are complied with pictures and illustrations for easy reference, particularly for surgeons in their clinical practice. 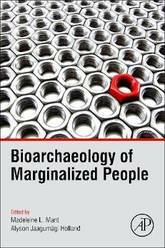 Bioarchaeology of Marginalized People amplifies the voices of marginalized or powerless individuals. Following previous work done by physical anthropologists on the biology of poverty, this volume focuses on the voices of past actors who would normally be subsumed within a cohort or whose stories represent those of the minority. The physical effects of marginalization - manifest as skeletal markers of stress and disease - are read in their historical contexts to better understand vulnerability and the social determinants of health in the past. Bioarchaeological, archaeological, and historical datasets are integrated to explore the varied ways in which individuals may be marginalized both during and after their lifespan. By focusing on previously excluded voices this volume enriches our understanding of the lived experience of individuals in the past. This volume queries the diverse meanings of marginalization, from physical or social peripheralization, to identity loss within a majority population, to a collective forgetting that excludes specific groups. Contributors to the volume highlight the histories of individuals who did not record their own stories, including two disparate Ancient Egyptian women and individuals from a high-status Indigenous cemetery in British Columbia. Additional chapters examine the marginalized individuals whose bodies comprise the Robert J. Terry anatomical collection and investigate inequalities in health status in individuals from Canada, the United States, and the United Kingdom. Modern clinical population health research is examined through a historical lens, bringing a new perspective to the critical public health interventions occurring today. Together, these papers highlight the role that biological anthropologists play both in contributing to and challenging the marginalization of past populations. 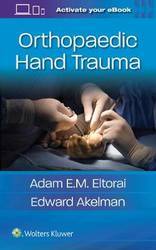 This practical quick reference covers all aspects of acute care of the hand. Structured and formatted for easy, efficient comprehension of up-to-date material, Orthopaedic Hand Trauma helps you assess, evaluate, and treat (including the use of surgical interventions) injuries of the bone, tendon, and nerve that are commonly encountered in the emergency room or urgent care clinic. Each chapter is designed to help you manage patients in an acute care setting. Concise, yet comprehensive review, covering the most common hand injuries encountered in the ER. 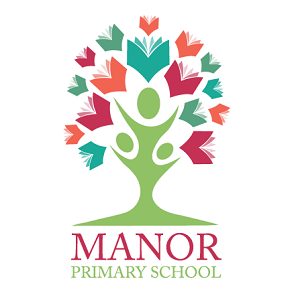 Features bulleted text along with algorithms, protocols, and numerous images and tables that make for quick comprehension and efficient application. Content organized by injury type-coverage includes the mechanism of injury, evaluation, acute treatment, definitive treatment, and complications. Perfect for anyone working in in the ER or urgent care settings. Includes a list of suggested readings for further, detailed explorations of each topic. Enhance Your eBook Reading Experience Read directly on your preferred device(s), such as computer, tablet, or smartphone. Easily convert to audiobook, powering your content with natural language text-to-speech. Degenerative disorders of the cervical spine are among the more common reasons why patients seek medical attention or consult with a spine specialist. These conditions can lead to neck pain and/or neurological deficit that can significantly compromise an individual's quality of life. Despite the regularity of these conditions, there remains both uncertainty and controversy regarding optimal management. No standard of care exists, however there are nuances related to a patients history, clinical presentation, and imaging that may make one approach more conducive to clinical success. 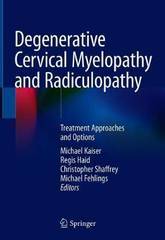 This text is intended to serve as a comprehensive, up-to-date resource for clinicians involved in the management of patients with cervical degenerative disease. 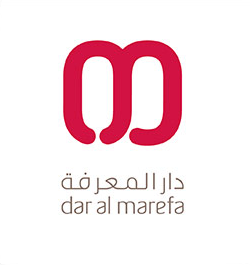 The text is divided into sections, organized in a clinically strategic manner. The initial chapters address the basics of cervical spine anatomy and biomechanics as well as the pathophysiology leading to various cervical degenerative disorders and the possible neurological sequelae. Subsequent chapters outline characteristics of the clinical presentation and the various diagnostic modalities to evaluate these patients. Key elements involved in the surgical-decision making process are covered, providing the necessary elements to establish a solid foundation for treatment planning. The final sections discusses specific procedures; including traditional approaches as well as more recent developments such as motion preservation surgery and minimally invasive techniques. The last section focuses on challenging clinical scenarios that require advanced surgical consideration. Individual chapters are organized with an introductory outline containing key chapter elements. Chapters focusing on specific pathological entities include discussions regarding pathophysiology, genetics, and risk factors. Those describing surgical procedures include a discussion on indications/contraindications, pre-operative planning, surgical technique, post-operative care, and complication avoidance. Chapter authors present their personal experience enhancing the information from current, evidence-based, referenced material. When appropriate, case presentations are added to provide a practical application of chapter's key points. This text, based on relevant, up-to-date clinical information and the cumulative experience of current spine experts, offers physicians the necessary tools involved in the decision-making process to formulate the optimal treatment plan for an individual patient. In addition, identification of knowledge gaps will hopefully stimulate future research and the evolution of cervical spondylotic treatments. 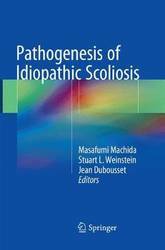 This book provides comprehensive coverage of current topics in idiopathic scoliosis (IS). A three-dimensional deformity of the spine, the condition is characterized by lateral curvature combined with vertebral rotation. The primary lesion, however, lies in the median sagittal plane, taking the form of a lordosis. Although the clinical manifestations of scoliosis have been well documented, its cause and pathogenesis have not yet been determined. Research into what causes IS has focused on the structural elements of the spine, spinal musculature, collagenous structures, the endocrine system, the central nervous system, and genetics. Results of these studies have brought about a new perception of IS epiphenomena, but the main cause of IS remains unknown. Recently, several investigators have produced new hypotheses regarding the cause of IS using the developing techniques of genetics, biochemistry, and neurology. This book is a review of the various causative factors thus far proposed for IS and an introduction to the directions in which research is heading to determine the primary cause of IS. 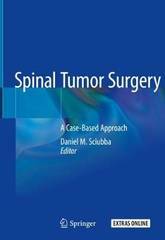 This practical, step-wise text covers the surgical approaches, resection strategies and reconstruction techniques used for each type of presenting tumor of the spine. Demonstrating the variety of anterior, posterior and intradural approaches and stabilization techniques, and spanning from pathologies of the craniocervical region to sacral and intradural pathologies, each chapter is generously illustrated with figures, radiographs and intraoperative photos. The chapters themselves follow a consistent and user-friendly format: the anatomy and biomechanics of a specific region, patient evaluation, essential oncologic principles, the decision-making process, and technical steps of surgery. A representative case illustration is provided at the conclusion of each chapter, exemplifying pertinent concepts described. Additionally, video segments accompany selected chapters, providing real-time illustration of surgical techniques. Technical and in-depth, yet highly accessible, Spinal Tumor Surgery: A Case-Based Approach is an essential resource for orthopedic spine surgeons, neurosurgeons, and surgical oncologists operating on tumors of the spine. 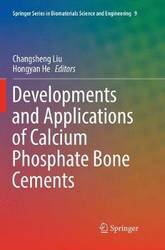 This book presents a state-of-the-art review of the latest advances in developing calcium- phosphate bone cements and their applications. It covers the synthesis methods, characterization approaches, material modification and novel binders, as well as the fabrication technologies of calcium-phosphate-based biomaterials in regenerative medicine and their clinical applications. It also highlights methodologies for fabricating scaffolds, biofunctional surfaces/interfaces and subsequently modulating the host response to implantable/injectable materials, and integrates a series of discussions and insights into calcium-phosphate cements and constructs in bone regenerative medicine. As such, the book not only covers the fundamentals but also opens new avenues for meeting future challenges in research and clinical applications. Newly revised and updated, this book provides geriatricians and orthopedic surgeons with the most vital tools to treat elderly patients who sustain a variety of fractures. 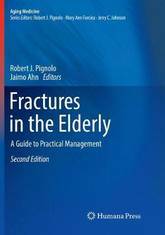 The text uniquely encompass the etiologies of fracture in the elderly, perioperative management, the surgical treatment of common fractures in the elderly, as well as rehabilitation and prevention in the older patient. It focuses on the most current data and opinions regarding assessment and management of geriatric conditions that predispose the elderly to fracture, perioperative complications and subsequent functional decline. Unlike any other text, experts in both orthopedics and geriatrics review the content of each chapter for readability and appeal to his/her respective discipline, making this the physician's ultimate guide to treating elderly patients with injuries. Fractures in the Elderly, Second Edition is a valuable resource for geriatricians, orthopedic surgeons, physiologists, and rehabilitation specialists. 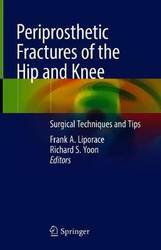 This up-to-date, comprehensive yet concise guide for orthopedic surgeons covers the salient points of anatomy and operative approaches for the management of periprosthetic fractures of the hip and knee: breaks in bone that occur around the components or implants of a total joint replacement. The opening chapter focuses on the general considerations and work-up of these injuries, including epidemiology, classification, anatomy, and knowledge of the biomechanics and biology behind the treatments. The subsequent sections then discuss the hip and knee, respectively, and are case-based. These describe management strategies for the particular periprosthetic fracture with either a stable or a loose prosthesis as well as associated complications, including fractures of the acetabulum, the greater trochanter and proximal femur, distal femur, tibia, and interprosthetic and interimplant fractures. Written by experts in the field and replete with plentiful, practical tips and tricks, Periprosthetic Fractures of the Hip and Knee is a valuable resource for orthopedic and trauma surgeons, residents and fellows. 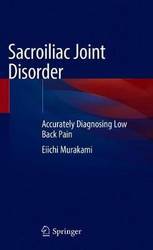 This book focuses on low back pain, comprehensively covering the concept, etiology, diagnosis and treatment for those types of pain specifically caused by sacroiliac joint dysfunction. 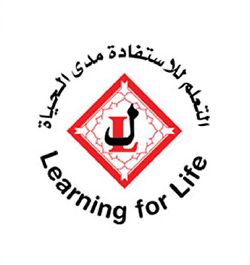 Particular attention is given to understanding the pathology, diagnostic techniques and useful methods for successfully treating patients. Sacroiliac joint pain, which is one of the most common causes of non-specific low back pain, shows no specific abnormal imaging findings on X-ray, CT or MRI; as a result, it is difficult to diagnose or even misdiagnosed. Further, in recent years the sacroiliac joint has become the subject of growing interest, and innovative implant systems such as iFuse and DIANA are now being developed for its treatment. Accordingly, Sacroiliac Joint Pain offers a valuable resource for healthcare professionals such as orthopedic surgeons, family doctors, spine surgeons, pain clinicians, rehabilitation doctors, physical therapists, osteopathists and patients suffering from low back pain. Designed with the practicing clinician in mind, Biologics in Orthopaedic Surgery provides a succinct, easy-to-digest overview of the integration of biologics (platelet-rich-plasma [PRP], bone marrow aspirate [BMA], and stem cells) into today's orthopaedic practice. Covering relevant basic science as well as clinical applications, this concise reference takes a head-to-toe approach to the emerging role of orthobiologics for specific conditions and procedures, in addition to future directions for implementation. Bridges the gap between research and the clinical setting, providing guidance on using recent transformative discoveries in real-world practice. Covers applications in sports medicine, general orthopaedics, and musculoskeletal oncology. Addresses specific key topics such as FDA regulations and impact, rotator cuff augmentation, osteoarthritis, meniscal transplantation, regenerative engineering, and much more. Consolidates today's available information on this timely topic into one convenient resource. This issue of Hand Clinics, guest edited by Dr. Joshua Adkinson, will cover several import aspects of the Management of Spastic Conditions of the Upper Extremity. 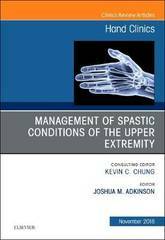 At the invitation of consulting editor Dr. Kevin Chung, Dr. Adkinson put together a comprehensive issue, which covers: Etiologies; Assessment measures and motion analysis; Non-surgical treatment options; Surgical management of spasticity of the thumb and fingers, wrist and forearm, elbow, and shoulder; Management of spastic upper extremity joint contractures; Technical pearls of tendon transfers; Selective neurotomy; Neurosurgical management; Outcomes after surgical treatment; The future of upper extremity spasticity management; and Management of spinal cord injury-induced upper limb spasticity, among others. Mass Casualty events may occur as a result of natural or human-caused disasters or after an act of terrorism. The planning and response to disasters and catastrophes needs to take into consideration the distinction between progressive and sudden events. Insidious or slowly progressive disasters produce a large number of victims but over a prolonged time period, with different peaks in the severity of patients presenting to the hospital. For example, radiation events will produce a large number of victims who will present days, weeks, months, or years after exposure, depending on the dose of radiation received. The spread of a biological agent or a pandemic will produce an extremely high number of victims who will present to hospitals during days to weeks after the initial event, depending on the agent and progression of symptoms. On the other hand, in a sudden disaster, there is an abrupt surge of victims resulting from an event such as an explosion or a chemical release. After the sarin gas attack in a Tokyo subway in 1995, a total of 5500 victims were injured and required medical attention at local hospitals immediately after the attack. The car bomb that exploded near the American Embassy in Nairobi, Kenya, killed 213 people and simultaneously produced 4044 injured patients, many requiring medical care at local hospitals. The Madrid train bombing in March 2004 produced more than 2000 injured victims in minutes, overwhelming the city's healthcare facilities. More than 500 injured patients were treated at local hospital after the mass shooting in Las Vegas. Finally, earthquakes may produce a large number of victims in areas in which the medical facilities are partially or completely destroyed. Sudden events bring an immediate operational challenge to community healthcare systems, many of which are already operating at or above capacity. The pre-hospital as well as hospital planning and response to sudden mass casualty incidents (SMCI's) is extremely challenging and requires a standard and protocol driven approach. Many textbooks have been published on Disaster Medicine; although they may serve as an excellent reference, they do not provide a rapid, practical approach for management of SMCI's. 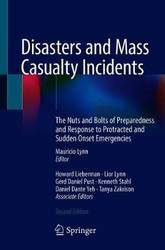 The first edition of Mass Casualty Incidents: The Nuts and Bolts of Preparedness and Response for Acute Disasters dealt exclusively with sudden mass casualty incidents. The second edition will expand its focus and include planning and response for insidious and protracted disasters as well. This new book is designed to provide a practical and operational approach to planning, response and medical management of sudden as well as slow progressive events. The target audience of the second edition will be health care professionals and institutions, as well as allied organizations, which respond to disasters and mass casualty incidents. Parts I and II are essentially the first edition of the book and consist of planning of personnel, logistic support, transport of patients and equipment and response algorithms. These 2 parts will be revised and updated and include lessons learned from major mass shootings that occurred recently in the United States and other parts of the world Part III will describe the planning process for progressive disasters and include response algorithms and checklists. Part IV will handle humanitarian and mental health problems commonly encountered in disaster areas. Part V will deal with team work and communication both critical topics when handling catastrophes and mass casualty incidents. This new book will be a comprehensive tool for healthcare professionals and managers and should perform demonstrably better in sales and downloads. It will be of value at the pre-hospital as well as the hospital level, to plan and respond to the majority of catastrophes and mass casualty incidents. 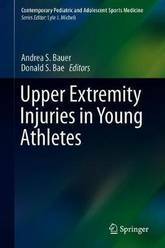 This unique book focuses exclusively on upper extremity injuries in the young athlete, including the latest evidence on current diagnostic and treatment strategies. Comprised of the most up-to-date information in the field, much of which is not in the existing literature, it proceeds anatomically from the shoulder down, covering the diagnosis and management of conditions of bones, muscles, ligaments and nerves. Shoulder injuries in the adolescent footballer, thrower and swimmer are discussed in detail, along with the pitcher's elbow and the wrist of the golfer, gymnast and tennis player. In addition to sports-specific injuries, carpal and common hand and nerve injuries, seen across multiple sports, are likewise described, as is the use of ultrasound in injury diagnosis. Injuries of the shoulder, elbow, wrist, and hand are among the most common in young athletes, and pediatric orthopedic and sports medicine specialists are seeing these injuries of the upper extremity with increasing frequency. Upper Extremity Injuries in Young Athletes will be a valuable resource in evaluating and treating young athletes in order to get them back on the field. 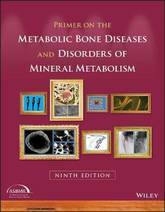 The authoritative reference to bone diseases and disorders of mineral metabolism, revised and updated Now in its ninth edition, The Primer on the Metabolic Bone Diseases and Disorders of Mineral Metabolism offers an updated and comprehensive guide to bone and mineral health. Since it was first published 30 years ago, the Primer has become the leading reference on the topic. With contributions from noted experts, the text explores basic biological factors of healthy development and disease states and makes the information accessible for clinical interventions. The ninth edition provides concise coverage of the widest possible spectrum of metabolic bone diseases and disorders of mineral metabolism. 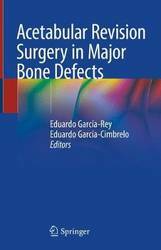 The new edition of this invaluable reference expands coverage and includes the most recent developments in the field that help to strengthen its usefulness and ensure that the Primer on the Metabolic Bone Diseases and Disorders of Mineral Metabolism maintains its place as the pre-eminent reference on bone and mineral health. This vital resource: Provides the most accurate, up-to-date evidence-based information on basic and clinical bone science Includes more than 10 new chapters and contributions from 300 authors from wide-ranging international research centers Captures the very cutting edge of research covering mineral homeostasis, osteoporosis and other metabolic bone diseases, skeletal measurement technologies, and genetics Presents a new companion website with useful supplementary materials at www.asbmrprimer.com Written for advanced students, clinicians, and researchers working in the field of bone health and disease, Primer on the Metabolic Bone Diseases and Disorders of Mineral Metabolism is the definitive, one-stop reference for anyone working in the field of bone health and disease. Helmed by a brand-new editor from the Mayo Clinic, the latest edition has been updated with new procedures and principles and additional imagery. Each technique is described in step-by-step detail. You will also find an overview of each injury or condition, explanations of indications and preoperative planning, complications and issues to watch out for, and tips for success. Lavishly illustrated with nearly 1,500 images that add a visual how-to to procedural instructions. More procedures than ever before, written authoritatively by master surgeons. New chapters-on the latest techniques and principles-help you stay up-to-date with current trends and development. eBook now features embedded links to a video to contextualize principles and techniques. Covers major trauma outcome surgery-MTOS. Enhance Your eBook Reading Experience Read directly on your preferred device(s), such as computer, tablet, or smartphone. Easily convert to audiobook, powering your content with natural language text-to-speech. 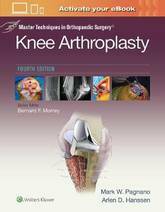 This book offers a concise review and international perspective on state-of-the art unicompartmental knee reconstruction procedures. To apply less invasive procedures resulting in fewer complications and shorter recoveries, it provides insights on patient selection, equipment design, and surgical techniques. Newer concepts such as the use of robotics and haptic surgery as well as outpatient surgeries are natural extensions of these surgeries. Long term outcomes along with complications and future directions are discussed as well. 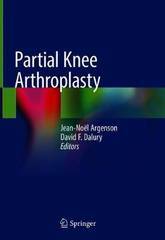 Partial Knee Arthroplasty presents an ideal resource for the occasional partial knee arthroplastic surgeon to the expert interested in international and contemporary advances in partial knee replacement. This book reviews the most important issues related to acetabular revision hip surgery and assesses the different management procedures that are currently used in light of the challenging major defects. Since the 1970s there has been a continual rise in the annual number of total hip arthroplasty (THA) procedures which has increased the demand for revision surgeries. Most revisions operations of the hip are the result of acetabular problems and early failures are usually related to acetabular bone defects in complex primary THAs. 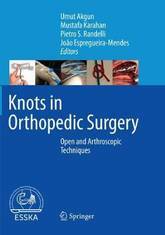 Long-term failures are mostly due to wear debris and osteolysis-related problems and both types of complications are presented throughout the book. Surgeons with a special interest in hip reconstruction surgery will find this book to be an essential resource for successfully dealing with highly complex revision procedures. Quality reporting is a rapidly growing area. Each year, new regulations in the US from the Council of Medicare and Medicaid Services make quality reporting a larger factor in determining reimbursement practices. Quality metrics are common parts of European clinical practice. Value of care is a focus of all payers, with specific interest directed at assessing the quality of care provided by a given healthcare team. While there are many publications in this space, no text has sought to provide an overview of quality in spine care. Quality measurement and quality reporting are ever growing aspects of the healthcare environment. Quality assessment is valuable to all healthcare stakeholders: patients, physicians, facilities, and payers. Patients are drawn to facilities that provide high value care; public reporting systems and grading systems for hospitals offer one opinion with regard to high quality care. Most physicians email inboxes are inundated with offers of recognition for being a Top Doc for a nominal fee. Some payers offer incentives to patients who chose to be treated at Centers of Excellence or similar facilities; the definition of Excellence may be unclear. There is little consensus on how to measure quality, how to incorporate patient and procedure factors and achieve accurate risk adjustment, and how to define value of care. Regardless of these challenges, regulatory efforts in the US, as well as numerous international efforts, make quality assessment and quality reporting an important part of physician behaviour. Physician and facility reimbursement for procedures are often tied to quality metrics. Spine procedures are costly, elective, and are a focus of many payer-based programs. Hence, spine care is often a focus of quality reporting efforts. This text summarizes the state of the art with regard to quality measurement, reporting, and value assessment in spine care. We will review quality reporting in the US and internationally. Chapters will outline how quality improvement efforts have achieved success in hospital systems. The reader will be provided with insights in how to achieve success incorporating quality metrics into spine care. Features: 1. 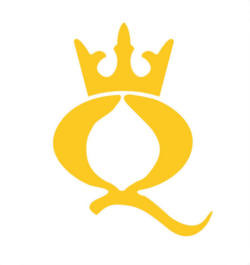 Illustrates the state of the art in spine quality reporting: There is no text that thoroughly addresses quality assessment and quality reporting in spine care; there are, however, numerous articles in this space. This book provides a definitive text covering the state of the art for quality reporting in spine care and will be of value to the international orthopedic and neurosurgical spine community. 2. Provides insight on quality reporting in different healthcare systems: The text will allow for comparison of different quality reporting systems from different health care systems. This will provide practitioners with insight into the strengths and weaknesses of different approaches to quality reporting, and may drive improvement in quality assessment and reporting systems. A single text that features review of US, European, and Australia/Asian health care systems' quality reporting is novel and will be thought provoking for readers. 3. Describes the US and international Healthcare reimbursement systems: Practicing physicians are provided with little information and less insight into the vagaries of the US and other healthcare systems. The text will provide insight into code development, valuation, and how quality reporting affects physician reimbursement 4. Explains risk adjustment: Appropriate risk adjustment and assessing patient and procedure factors that may impact quality reporting are invaluable to accurate quality measurement. The text will review risk adjustment, different approaches to risk assessment/mitigation, and provide physicians with insights into appropriate measures to capture in their clinical practices 5. 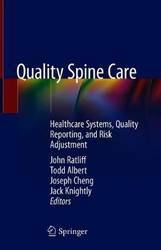 Provides a foundation for improved quality assessment in spine care: While there are many disparate elements and differing approaches to capturing spine quality metrics, no definitive text has attempted to summarize these efforts in a single volume. By synthesizing these variable approaches, the reader may be provided with insights into superior approaches to quality assessment and a foundation will be provided for improving healthcare systems. 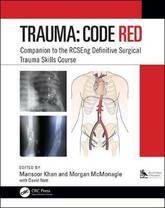 The Royal College of Surgeons' of England two-day definitive surgical trauma skills course is run by the authors. The course began in 1997 but a new syllabus has recently been put in place.The focus is on thoracic ,abdominal and vascular injuries, caused by both penetrating trauma, such as a knife, and ballistic trauma caused by guns.This Manual accompanies the course and it's aim is to demystify the body and show how to control massive blood loss. Interventions, whether they be military or civilian, are descrbed in full, and techniques derived from the battlefield and world-wide hotspots in trauma -are exemplified within this book. Fully illustrated throughout with a wide range of scans, images and line drawings, ABC of Orthopaedics and Trauma provides practical guidance on the diagnosis, treatment and management of orthopaedic conditions, and assists with the initial assessment based on common presentations. Written by a team of renowned expert orthopaedic surgeons and rheumatologists, it includes coverage of the current national guidelines from NICE and professional bodies. Twenty-four chapters cover all the major areas of this vast speciality using a digestible and reader-friendly approach, including sections on fractures, joint replacements, rheumatological disorders, osteoarthritis, emergencies, and post-operative care. Introduction to specialist topics like metabolic bone disease, peripheral nerve injury, paediatric orthopaedics and tumours are also featured. 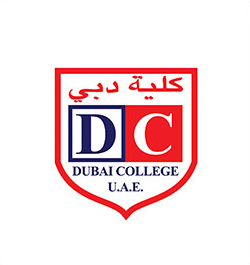 Topics consist of history and examination, investigation and initial management of common orthopaedic trauma and elective presentations. In addition, this full-colour, user-friendly reference guide offers readers a look at the day-to-day clinical practice of a speciality that will affect at least half of the global population at some point, covering further chapters on epidemiology, biomechanics, common procedures, future developments and education. ABC of Orthopaedics and Trauma is an excellent resource for all healthcare professionals caring for patients with musculoskeletal and orthopaedic related disorders. This will be a valuable reference to orthopaedic trainees, sports physicians, physiotherapists, nurses, occupational therapists, clinical researchers and student doctors.